The Ewe people (Ewe: Eʋeawó, lit. "Ewe people"; or Eʋedukɔ́ , lit. "Ewe nation") are a West African ethnic group. 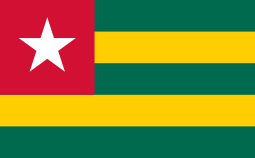 They are the largest ethnic group in Togo (32%), the third largest ethnic group in Ghana (14%), and are a minority ethnic group in southern Benin, Ivory Coast and Nigeria. They speak the Ewe language (Ewe: Eʋegbe) which belongs to the Niger-Congo family of languages. They are related to other speakers of Gbe languages, such as, the Fon, Gen, Phla Phera, and the Aja people of Togo and Benin. Ewe people are located primarily in the coastal regions of West Africa, in the region south and east of the Volta River to around the Mono River at Togo and Benin border. 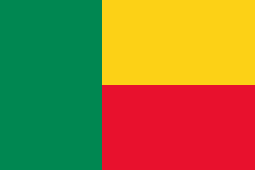 They are particularly found in southern Togo (formerly French Togoland), Volta Region in southeastern Ghana (formerly British Togoland), and in southwestern parts of Benin. The Ewe region is sometimes referred to as the Eweland or Eʋedukɔ́ region (Togoland in colonial literature). The Ewe people have a large presence in Accra. They are also found in Ivory Coast and Yorubaland in Nigeria. They consist of four groups based on their dialect and geographic concentration: the Anlo Ewe, the Mina, the Wtyi and the Ewe 'proper'. The literary language has been the Anlo sub-branch. 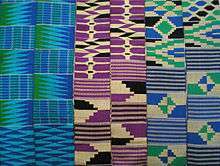 The ancient history of the Ewe people is unknown. The origin of the Ewe people is generally believed to be the region that is now the border between Benin and Nigeria. The invasions and wars of the 17th century triggered them to migrate into their current location. Archaeological evidence suggests that the Ewe people likely had some presence in their current homelands at least earlier than the 13th century. This evidence dates their dynamism to a much earlier period than previously believed. However, other evidence also suggests a period of turmoil, particularly when Yoruba warriors of Oyo Empire ruled the region. Their own oral tradition describes the brutal king Agokoli of Notse ruled from Kpalimé in 17th century. They share a history with people who speak Gbe languages. These speakers occupied the area between Akanland and Yorubaland. Previously some historians have tried to tie them to both Akan and Yoruba ethnic groups, but more recent studies suggest these are distinct ethnic groups that are neither Akan or Yoruba, although they appear to be both influenced or influence by both. The Ewe people had cordial relations with colonial era European traders. However, in 1784, they warred with Danish colonial interests as Denmark attempted to establish coastal forts in Ewe regions for its officials and merchants. The Ewes were both victims of slave raiding and trade, as well slave sellers to European slave merchants and ships. Politically structured as chiefdoms, the Ewe people were frequently at war with each other, raided other clans within the Ewe people as well as in Ashantiland, and they sold the captives as slaves. The sophisticated theology of the Ewe people is similar to those of the nearby ethnic group such as the Fon religion. This traditional Ewe religion is called Voodoo. The word is borrowed from the Fon language, and means "spirit". The Ewe religion holds Mawa as the creator god, who created numerous lesser deities (trɔwo) that serve as the spiritual vehicles and the powers that influence a person's destiny. This mirrors the Mawu and Lisa (Goddess and God) theology of the Fon religion, and like them, these are remote from daily affairs of the Ewe people. The lesser deities are believed to have means to grant favors or inflict harm. The Ewe music has many genre. One is Agbekor, which relate to songs and music around war. These cover the range of human emotions associated with the consequence of war, from courage and solidarity inspired by their ancestors, to the invincible success that awaits Ewe warriors, to death and grief of loss. The Ewe have an intricate collection of dances, which vary between geographical regions and other factors. One such dance is the Adevu (Ade - hunting, Vu - dance). This is a professional dance that celebrates the hunter. They are meant both to make animals easier to hunt and to give animals a ritual 'funeral' in order to prevent the animal's spirit from returning and harming the hunter. The Atsia dance, which is performed mostly by women, is a series of stylistic movements dictated to dancers by the lead drummer. Each dance movement has its own prescribed rhythmic pattern, which is synchronized with the lead drum. 'Atsia' in the Ewe language means style or display. The Bobobo (originally 'Akpese') is said to have been developed by Francis Kojo Nuatro. He is thought to have been an ex-police officer who organized a group in the middle to late 1940s. The dance has its roots from Wusuta and in the 'Highlife' popular music across West African countries. Bobobo gained national recognition in the 1950s and 1960s because of its use at political rallies and the novelty of its dance formations and movements. It is generally performed at funerals and other social occasions. This is a social dance with a great deal of room for free expression. In general, the men sing and dance in the center while the women dance in a ring around them. There are 'slow' and 'fast' versions of Bobobo. The slow one is called Akpese and the fast one is termed to be Bobobo. 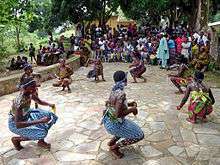 Gbedzimido is a war dance mostly performed by the people of Mafi-Gborkofe and Amegakope in the Central Tongu disctrict of Ghana's Volta Region. Gbedzimido has been transformed into a contemporary dance and is usually seen on only very important occasions like the Asafotu festival, celebrated annually by the Tongu people around December. The dance is also performed at the funerals of highly placed people in society, mostly men. 1 2 3 4 5 6 James Minahan (2002). Encyclopedia of the Stateless Nations: Ethnic and National Groups Around the World A-Z. ABC-CLIO. pp. 589–590. ISBN 978-0-313-07696-1. 1 2 3 4 John A. Shoup III (2011). Ethnic Groups of Africa and the Middle East: An Encyclopedia: An Encyclopedia. ABC-CLIO. p. 90. ISBN 978-1-59884-363-7. ↑ Basic Ewe for foreign students, p. 206. 1 2 3 4 5 6 Anthony Appiah; Henry Louis Gates (2010). Encyclopedia of Africa. Oxford University Press. pp. 454–455. ISBN 978-0-19-533770-9. 1 2 3 4 5 6 7 8 John A. Shoup III (2011). Ethnic Groups of Africa and the Middle East: An Encyclopedia: An Encyclopedia. ABC-CLIO. pp. 89–90. ISBN 978-1-59884-363-7. ↑ Meera Venkatachalam (2015). Slavery, Memory and Religion in Southeastern Ghana, c. 1850–Present. Cambridge University Press. pp. 2–8, 16–17. ISBN 978-1-316-36894-7. 1 2 3 4 5 James Minahan (2002). Encyclopedia of the Stateless Nations: Ethnic and National Groups Around the World A-Z. ABC-CLIO. pp. 590–591. ISBN 978-0-313-07696-1. ↑ Meera Venkatachalam (2015). Slavery, Memory and Religion in Southeastern Ghana, c. 1850–Present. Cambridge University Press. pp. 3 with note 3. ISBN 978-1-316-36894-7. 1 2 3 Toyin Falola; Daniel Jean-Jacques (2015). Africa: An Encyclopedia of Culture and Society. ABC-CLIO. p. 1210. ISBN 978-1-59884-666-9. ↑ Meera Venkatachalam (2015). Slavery, Memory and Religion in Southeastern Ghana, c. 1850–Present. Cambridge University Press. pp. 7–8. ISBN 978-1-316-36894-7. ↑ Victor Kofi Agawu (1995). African Rhythm Hardback with Accompanying CD: A Northern Ewe Perspective. Cambridge University Press. pp. 200–202. ISBN 978-0-521-48084-0. ↑ "Ewe". Ghana Web. Ghana Web. Retrieved 24 September 2014.